When discussing Liverpool, the immediate names that spring to mind are Mohamed Salah and Sadio Mane. The dynamic duo tend to steal all the headlines due to their pace, goalscoring prowess, and all-round abilities. However, Liverpool, wouldn’t function anywhere near as perfectly as they do (attack-wise) without the immensely underrated Roberto Firmino. Signed from Hoffenheim in 2015, eyebrows were raised when the Anfield club splashed £29million to sign the Brazilian who scored 49 goals in 153 games for the German outfit. Those doubts continued during his first two full seasons at Liverpool. The goal production just wasn’t there, striking 23 times in exactly 100 appearances. Then something just clicked. Perhaps it was Firmino adjusting and adapting to life in the Premier League, or possibly the Jurgen Klopp effect was working its magic once again. Loyal Firmino supporters will tell you goals aren’t the be-all and end-all. A top level centre-forward must be finding the back of the net on a regular basis, though. At the end of the day, that’s their main job. When the 26-year-old began to add the crucial component to an already proficient playing style, the Brazilian’s stock began to rise; and rose rapidly. 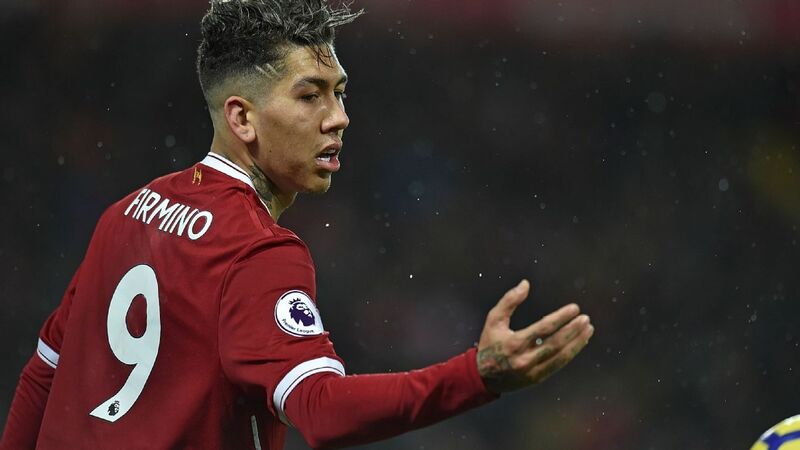 ‘Bobby’ Firmino struck 27 times in the 2017/18 campaign. He also added an outstanding 17 assists for his teammates. That’s 44 goal contributions in 54 matches. If Sergio Aguero or Harry Kane was putting up those numbers, make no mistake about it, the English media would be frothing at the mouth. In Liverpool’s last four fixtures, Firmino has made a match-winning contribution. The aforementioned goal against PSG, a goal against Tottenham Hotspur in a 2-1 win, a strike against Leicester City in another 2-1 win, and the all-important assist in a hard-fought 1-0 victory against Brighton & Hove Albion. Without their talismanic striker, the overall outlook at Anfield could look a whole lot different. Efficient. Intelligent. Hard-working. The football hasn’t been as spectacular from Liverpool thus far. That hasn’t mattered. Firmino epitomises everything good about why the Merseysiders are enjoying such success right now. He will carry his teammates through when the going gets tough. He will lead by example. He will not shy away. Liverpool fans love Firmino. They realise his importance. It’s the wider circle where he isn’t praised anywhere near enough. Is it a stretch to say that he’s as important to his club as the aforementioned Salah and Mane? I don’t think so. Without the man from Maceio, the wingers wouldn’t be able to perform at their brilliant best. Firmino allows his Egyptian and Senegalese teammates to run off him due to his excellent hold-up play. Firmino will find his mates with a defence-splitting pass or a flick-on header. Firmino will tee them up with the ball on their stronger foot to lash home from outside the area. That unselfishness is what makes him so good. The ultimate team player. What’s crazy is that he’s still just 26. Firmino’s best years are still to come. In the modern-day game, he’s the perfect striker for Premier League football. If he keeps improving, the personal accolades will come – although I’m not sure he’s all too fussed about that. Honestly, I don’t think he’s bothered that the other members of Liverpool’s front three constantly steal the limelight. Firmino actually rather enjoys playing without the attention. The forward simply has to stay fit for the season’s duration. If Firmino can, while continuing to put up the eyewatering numbers that he has put up over the last twelve months, Liverpool will have a great chance at winning major honours this year. Who knows, they may go one better than their Champions League final heartbreak.